This year has been a learning curve for me in many ways, but one in particular that stands out for me has to be learning how to take care of my skin properly. I will always remember being about 12 years old and Mum telling me she’d started wearing anti-aging eye cream when she was about 21. She has the best skin of anyone in their 50’s that I’ve ever met, and I believe this is a testament to how she looked after it in her 20s. 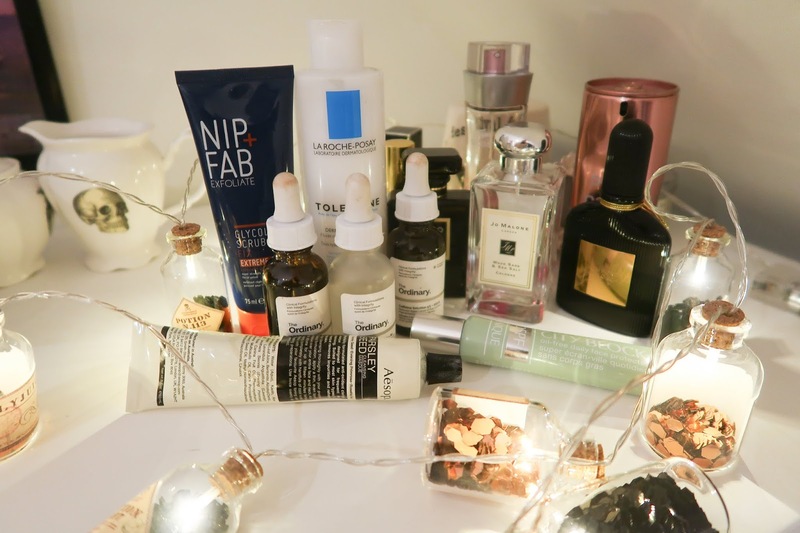 Unfortunately I haven’t been as disciplined as she is but this year I’ve given it a damn good go, and I thought I’d share with you today my winter skin care saviours that I’ll be relying on until the warmer weather arrives again. I’ve been wanting to get into a good cleansing routine for a long time. 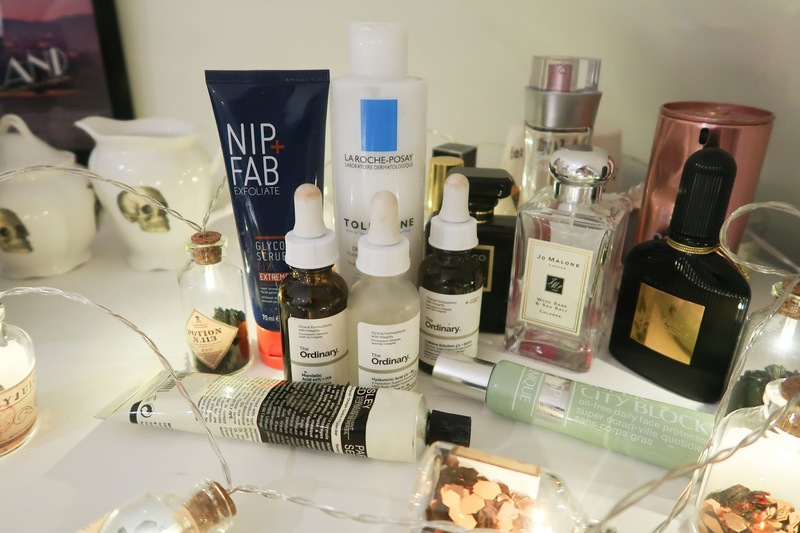 I’m guilty of buying so many cleansers over the years and then never getting round to using them properly, or using them religiously for a week before falling off the wagon and going back to just using makeup wipes or a splash of micellar water. I decided early on in the winter that this wasn’t going to happen anymore, and rather than trying some complicated cleansing routine, I was instead going to strip it back a little with a fuss free product. While I still take my makeup off with micellar water, I now follow this with the La Roche-Posay Dermo Cleanser which removes any makeup residue and leaves my skin feeling super soft. It is surprisingly well priced for a more ‘higher end’ drugstore item and I’ve really enjoyed using it these past weeks. 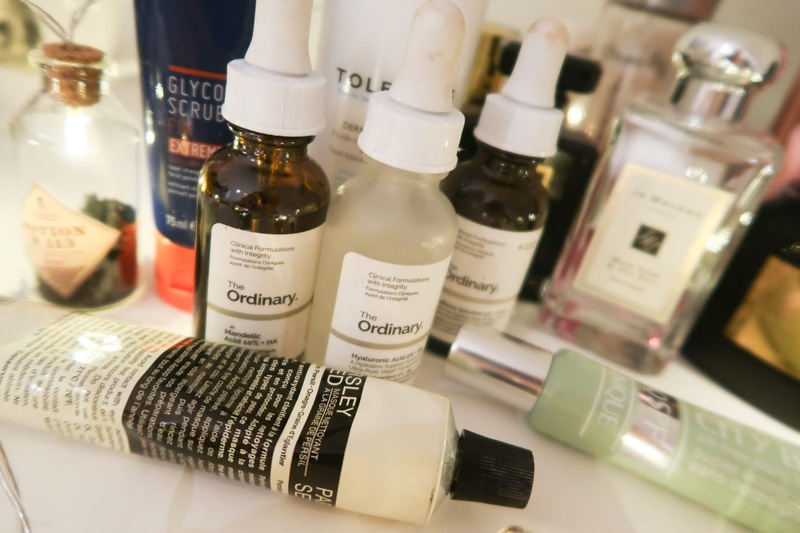 Earlier on in the year I picked up a few items from The Ordinary, the cult cruelty free skincare brand that we’ve been hearing a lot about over the past 12 months. I honestly credit these items with keeping my skin so clear this year because since I’ve been using them regularly I’ve noticed a major difference in how my skin looks and feels. I have the Mandelic Acid which I use every 3 to 4 days and which apparently has anti-bacterial properties in it which can help prevent blemishes according to the helpful lady I spoke to in the store in Covent Garden. I have the Hyaluronic Acid for a moisture boost – this is great at plumping the skin which in turn helps to minimise the appearance of fine lines. I used to have a real defined line around my lips and cheeks that I hated and since using this product I can barely notice it at all. I usually use this every other day or thereabouts. Finally from The Ordinary I have the Caffeine Solution which I use under my eyes to minimise dark circles. I’m supposed to use this daily although I will admit that recently I haven’t been great at remembering to and the puffy under eye circles are back. If you use this religiously however, you can really notice the difference. Every morning without fail since I first picked up this product in March I use the Clinique Super City Block. This is actually my second tube of this product which should be a testament to just how good it is because, aside from micellar water and moisturiser, I don’t think I’ve ever finished a skin care product before. 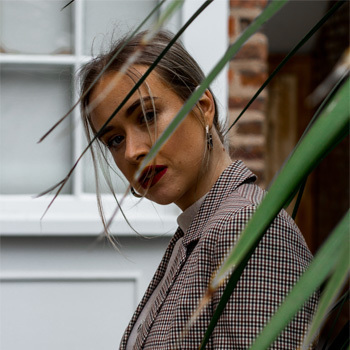 I first heard about this through the babe that is Megan Ellaby and decided to try it for myself at the start of the year because I lived in London and thought it would be a great barrier between my skin and the gross pollution in the air. 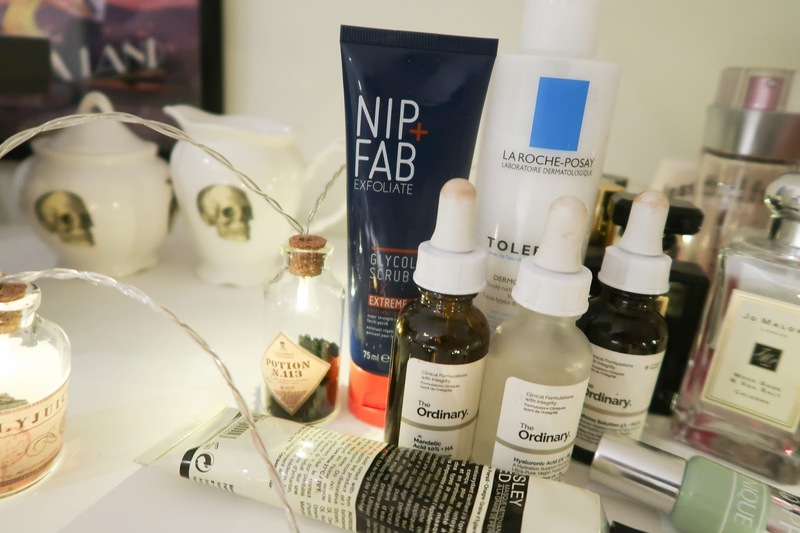 This is another product that I have noticed has made a huge difference to my skin this year and I think it’s become one of those holy grail products that I will forever repurchase. It has SPF 40 which is a must-have element to your skin care regime at all times of the year – just because the sun isn’t beating down on us in the winter does not mean we’re not getting those UV rays! It also has anti-pollution blocking properties which make it great for anyone living or working in the city who’s skin is getting regular exposure to pollutants. Finally, I have two products which I use side by side once a week to really give my skin a deep clean. These are new to my regimen and I think are the reason I’ve experienced a little breakout recently as they’re bringing all the under the skin blockages to the surface which is a little annoying but at the same time exactly what I want them to do. I bought the Nip & Fab Glycolic Fix Extreme Scrub as an exfoliant to use before my deep cleansing face mask. I wasn’t expecting this to be quite so harsh on the skin so I would approach with caution especially if you have sensitive skin, however it does leave my skin feeling super super soft after I’ve used it. I then use the Aesop Parsley Seed mask to really get in there and remove imperfections. I usually leave this on for around 15 to 20 minutes to get to work and then wash off with warm water and a flannel.